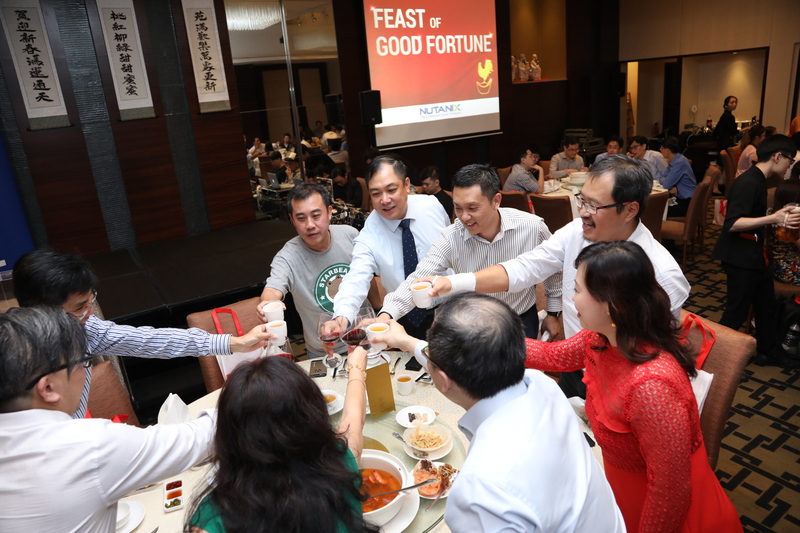 On the 19th January 2017, the events team managed the Nutanix Feast of Good Fortune 2017 CNY Lou Hei Celebration held at Peach Garden @ Hotel Miramar. The dinner objective was to thank their partners and to welcome the Lunar New Year together, with a blast! Partners enjoyed a night of laughs with their host of the night, FLY Entertainment artiste Patricia Mok who showed off her talents with song, dance and of course, her humour! It was a great night for all with good food and drinks and not forgetting everyone's favourite, lucky draw. HUAT AH!